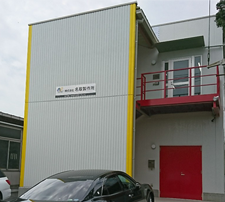 Titanium processing, press processing, titanium forming, titanium press | Natori Manufacturing Co., Ltd.
Three-dimensional bending in press processing, special in titanium forming Natori Manufacturing Division Please contact us if it is titanium press. 2019/01　In December last year, it was selected as a regional future traction company by the Ministry of Economy, Trade and Industry. I made a sponsorship agreement with Atsushi Yamamoto who changed to 2017/12 pro. Natori Manufacturing will gather and support technologies so that Yamamoto will be able to do its utmost. 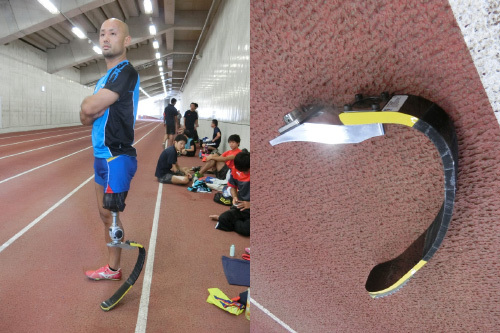 2017/09 Yamamoto, who is using our sports adapter, won the silver medal with London Para land run jump. congratulations!
" by the Small and Medium Enterprise Agency of the Ministry of Economy, Trade and Industry . 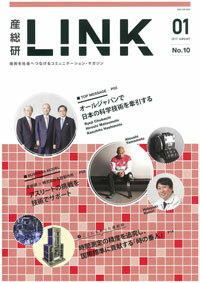 2017/01 The Natori factory was featured in AIST's information magazine "LINK". 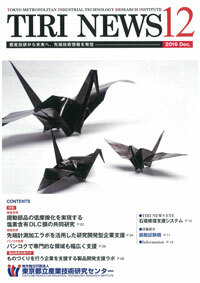 2016/12 The Natori Manufacturing Division was featured in the information magazine "TIRI NEWS" of Tokyo Metropolitan Industrial Technology Research Center. 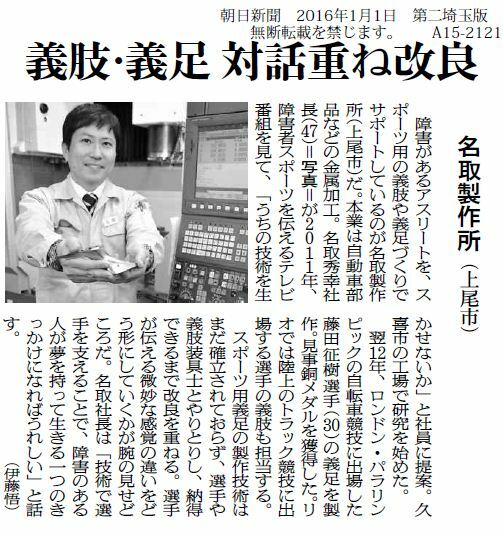 2016/09 An article on artificial limb parts for competition was posted in the industrial newspaper. 2016/08 Discover Japan September issue A sports adapter was posted on the heritage and innovation of the Olympic Games. 2016/06 We opened a Gulf Coast within Tokyo Metropolitan Industrial Technology Research Center (TIRI). 2016/05 Yamamoto athletes, supported by sports prostheses at Natori Works, won the world record with 6 m 56 cm in long jump. 2016/01 The Asahi Shimbun picked up the Natori factory. The Asahi Shimbun Saitama edition "Saito - Kyon Athlete Olympic Sportswear Olympics - Paralympic Games" supported the Natori Manufacturing Division. Yamamoto athletes who supported the sports prosthesis by Natori Manufacturing Co. won the gold medal with a long jump in the world! 2012/10 At the London Paralympics, para-cycling Fujita won the bronze medal! We used the titanium alloy made by our company at the actual bronze medal race. With experience cultivated in our foundation 60 years, we are consistently doing not only mass-production presses but also prototyping by pressing and designing and manufacturing of molds throughout our company. Please see the press technology of Natori Manufacturing Co., which can realize efficiency improvement. We manufacture pressed hard wire, arm piece (wiper arm part) from irregular shape wire. It is a product combining three-dimensional bending with press, bending and twisting press technology. 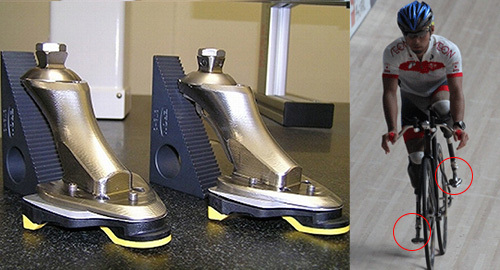 At the Natori Manufacturing Division, we are helping you make sports prostheses. It would be greatly appreciated if you support players with technology, helping people with disabilities live with their dreams. Titanium is one of the processing materials that Natori Manufacturing is good at. While pursuing a variety of charm and performance of titanium, we are pursuing a priceless method while upgrading. 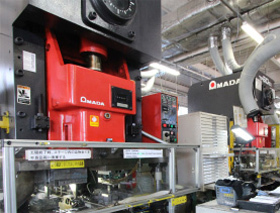 Natori Manufacturing Co., Ltd. is consistently working not only in mass production presses but also through prototyping by pressing and designing and manufacturing of molds in-house. In the know-how that we cultivated in our 60 years of business, we realized efficiency by using press technology that enables U-shaped bending and torsion bending even for difficult-to-process materials such as titanium and molds with optimal production line and optimum structure It is. We are offering titanium products that satisfy our customers by offering precision machining such as 5-axis machining centers and 3D measuring machines guaranteeing quality. We manufacture various kinds of automobile parts etc. from hard steel wire, stainless steel material and many other materials. We also design and manufacture jigs and tools. 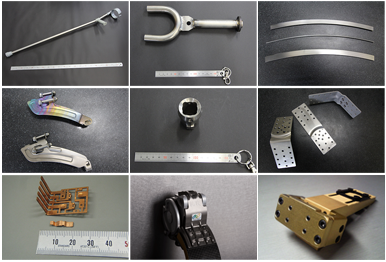 We manufacture original jigs and tools in order to produce various kinds of parts, aiming for efficiency. In addition, we have established a production line, we respond to customer's request through press technology and latest equipment. 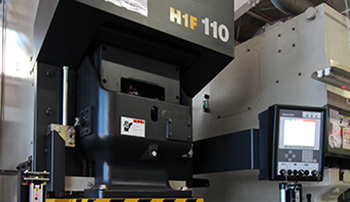 At the Natori Manufacturing Division, we are equipped with press machining of difficult-to-work materials, facilities that are good at cutting, and CNC three-dimensional measuring machines that guarantee strict quality. In addition, cooperative factories are receiving responses such as surface treatment and consistent production is possible. In addition, it has six articulated robots and it has application power that can correspond to a wide variety of lines. If necessary, we have customized facilities at our company, and facilities that keeps track of high quality and cost reduction are here.